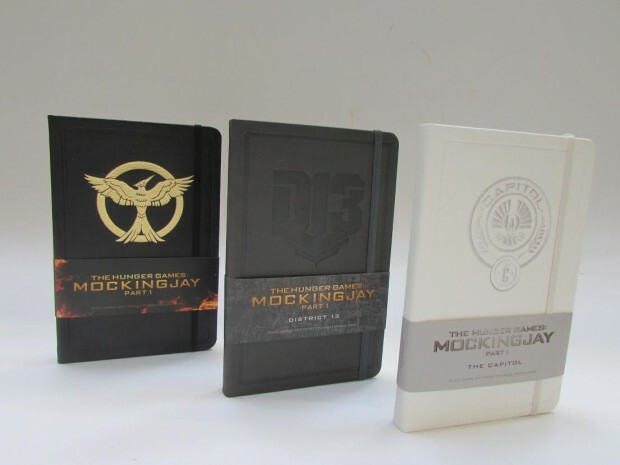 Some of you may remember that a couple months back, we learned that Insight Editions was coming out with three gorgeous The Hunger Games: Mockingjay journals, one for the mockingjay, one for District 13, and one for the Capitol. Now, thanks to Insight Editions, we’ve got a bunch to give away to our lucky readers! To enter, head over to the Insight Editions website and browse the images of the three journals and come back here and comment to rank your favorites. This contest is open worldwide, HOWEVER, international contestants outside of the US and Canada are only eligible for third place due to shipping restrictions from the contest sponsor and Jabberjays.net’s prize budget. This contest will close for entries on January 24, 2015. Winners will be chosen at random and must reply to notification email or tweet within 72 hours or prize will be forfeited and another winner will be drawn. Prizes sent to US/Canada winners will be shipped out by Insight Editions. International prizes will be shipped out by Jabberjays.net and may take additional time.